The David Citadel Hotel is one of Jerusalem’s newest and most luxurious hotels. The hotel is located in Western Jerusalem on prestigious King David Street, facing the historic “David Citadel and Tower” and the ancient walls of the Old City. The David Citadel Hotel features magnificent decor, a fine selection of guest rooms and suites all with a view of the walls of Jerusalem's historic Old City. The hotel offers excellent facilities, fine cuisine and a wide range of amenities for the discerning guest. The David Citadel Hotel has 384 sumptuous suites and guest rooms. The hotel can accommodate singles, doubles and full families in studio and multiple bedroom suites. Rooms face the Old City on one side of the hotel and the new city on the other side. 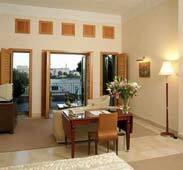 Deluxe rooms and some of the suites have a view of the Old City walls. Meals: You will enjoy your breakfast and hotel meals in the beautiful hotel dining room. In addition the hotel has two excellent restaurants. See more about Scala Restaurant and take a 10% discount coupon at this restaurant. The hotel is under the kashrut supervision of the Jerusalem Rabbanut. All of the hotel restaurants and dining facilities are under this supervision. A mashgiach kashrut is on site at all times. 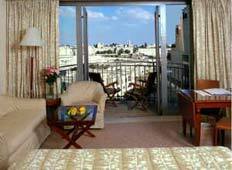 Hotel Synagogue: The David Citadel Hotel synagogue is located on the hotel lower level. The synagogue has a separate men's and women's section and a permanent Sefer Torah. 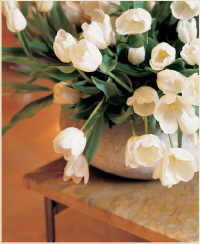 Services are held on Shabbat and holidays. The hours are posted. The synagogue accommodates 50 people comfortably. Guests are invited to host their Bar/Bat Mitzva and other celebrations in this synagogue. At least one of the four hotel elevators is set to Shabbat mode. The elevator goes up to the top floor and stops at every floor on its way down. The elevator remains on each floor for one minute. Door keys can be substituted for electronic cards for the Shabbat. Please notify the hotel in advance if you need a key for Shabbat. Rooms can be put on Shabbat mode which disables the automatic mechanisms in the room triggered by opening doors. 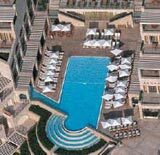 The pool at the David Citadel is heated year round, so it can be used in any weather. There is a small indoor area that leads to the large outdoor pool. There is a separate children's pool. The David Citadel Hotel has excellent banqueting facilities for smachot or for conferences and meetings. See the hotel website for complete details. Health and recreation facilities are managed by the Cybex Health Club and Spa on the entrance level of the hotel. The facility includes fitness rooms, classes and sauna. The spa offers massages and body treatments. There is a separate fee for the use of the health club and spa facilities. Inquire at reception.